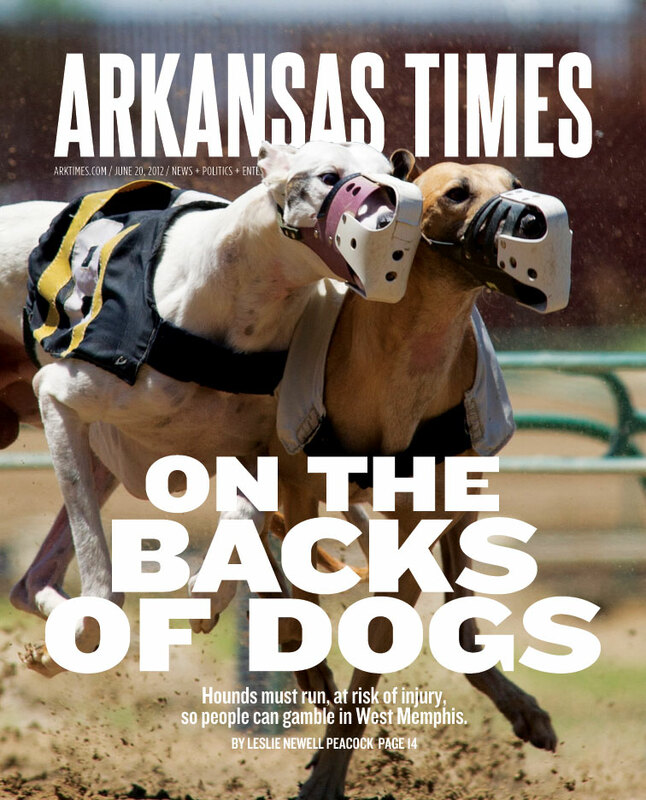 This morning, information on greyhound injuries in Arkansas was made public for the first time in a front-page Arkansas Times news story. In part, the Times reported on a GREY2K USA analysis of greyhound injuries at Southland Greyhound Park. According to data we received from the state, 452 greyhound injuries were reported at Southland between 2008 and March 2012. Nearly half of the reported injuries involved broken legs. During the same period, 32 dogs died or were euthanized due to injuries at the track. The final race for Bow Rockabilly. Image by Southland Park. On February 24, 2011 a three-year-old black greyhound named Bow Rockabilly died after he fell into the track rail during a race at Southland. According to statistics kept by gamblers, Rockabilly raced more than 70 times before he died. 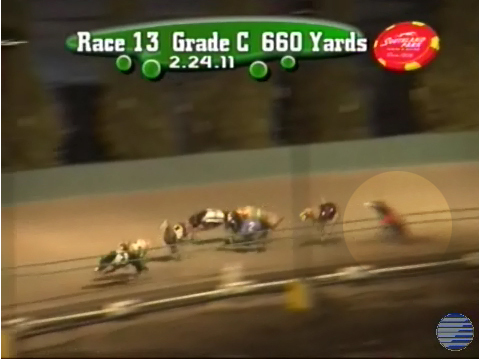 A three-year-old red greyhound named Marvel At This was euthanized in October 2008 after she suffered a broken neck during a race at Southland. A two-year-old white and fawn greyhound named CG's Spectator was euthanized after he broke both front legs during a race at Southland on July 19, 2008. At the time of his last race, the temperature was 96 degrees. These dogs were never given the chance to know a loving home. Rather than become part of a family, they raced so that gamblers could use them as a number to bet on. In the end, each of them suffered a catastrophic injury and paid the ultimate price of their lives. 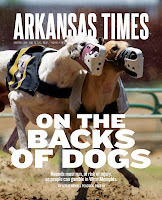 Please read our full report on greyhound injuries at Southland Park, and check out today's Arkansas Times report. Then, tell others about the ongoing humane problems at Southland. If you have friends or family that live near the track, ask them to not support this facility. We can't help dogs like Rockabilly, but we can try to help the greyhounds at Southland now. That starts with giving them a voice, and spreading the world about their cruel fate.